Sam and Jason wake up together, then share breakfast. She admits it feels familiar, but strange. Jason says they should take things day by day without pressure. He adds that Spinelli&apos;s coming to town so they can figure out who is sending Sam the emails. Sam says it feels like the last time they were together, when he left and never returned. Jason promises that he&apos;ll be back. Peter&apos;s annoyed that Anna spent the night with him at the police station. She says she&apos;s there to help him navigate Jordan&apos;s questions. Maxie stops by as well. Jordan says the bloody footprint matches the type of shoes that Peter is currently wearing. Peter tells her the size, which doesn&apos;t match. Peter reminds Jordan he was at her wedding the entire night when Kiki was killed. Jordan leaves to check out video footage. After Anna leaves, Maxie tells Peter to be nicer to her because his mother is worried about him. Peter admits he&apos;s slow to trust Anna. Jordan returns and tells Peter that the wedding video proves he was at the wedding all night and not Kiki&apos;s killer, so she releases him. Laura sits at Lulu&apos;s bedside telling her she needs to wake up. 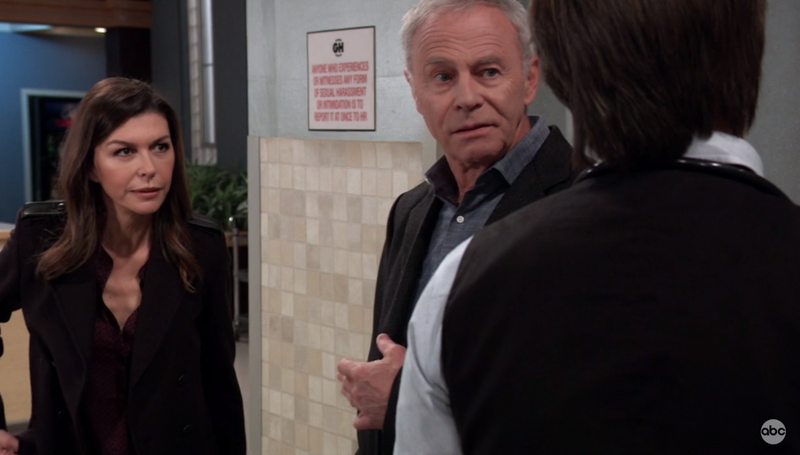 Sonny shows up to offer support and mentions they&apos;ve been trying to reach Dante. Sonny reassures Laura that Lulu is strong and determined, and will pull through. Sonny says he&apos;s upped the reward on the tip line, in hopes that someone with information will come forward. Laura worries it will only produce false leads. Liz had a rough night, worrying about what it means if Aiden is gay. Franco asks if she has a problem with it if he were. Liz says all that matters is that Aiden is happy to be who he is. Franco counters that the world is a scary place and people don&apos;t see things the same way. Liz says what&apos;s important now is to stop the bullying. Robert&apos;s in town. He&apos;s looking for Anna to give her intel on the virus. He and Finn make cute small talk until Anna shows up. 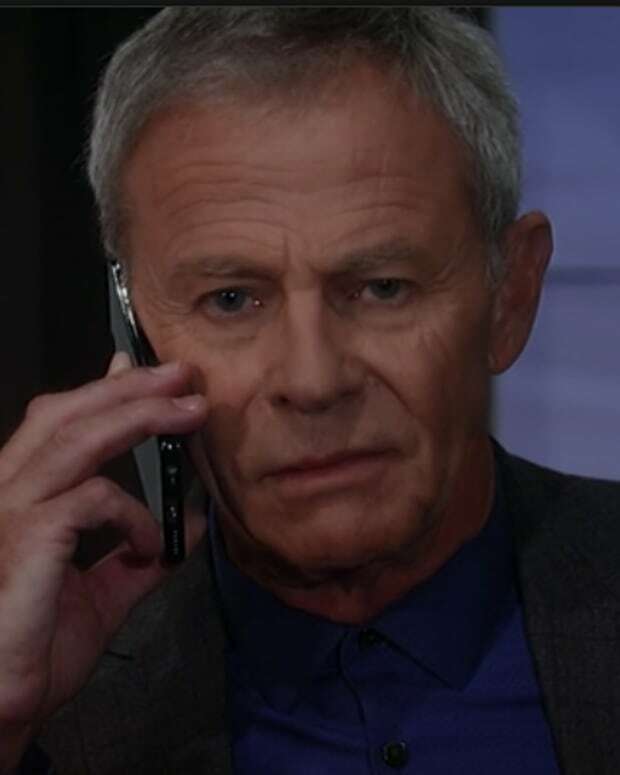 Robert tells Anna he researched who was working with Cabot. Turns out it was Kevin, which means "he" lied when he said he had never worked with the WSB. Ryan&apos;s had the eye surgery, and Griffin removes the bandages. Ryan can see again, but Griffin wants to run a few more tests before releasing him. Sam worries the entire time that Jason is gone. Then, he returns safe and sound. Laura sits and tells Lulu to wake up. Lulu squeezes her hand though she doesn&apos;t wake up yet. Laura heads out to find a doctor. Lulu opens her eyes to find Ryan standing over her.